Belçika değil misin? Bulunduğun ülkenin mağazasını seçerek satın alabileceğin e-kitapları bulabilirsin. When an undertaker’s daughter witnesses her father’s suicide, she is suspicious; when she sees cadavers dancing in his morgue, she knows skullduggery is at play. 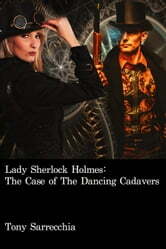 She turns to the world’s foremost, and only, consulting detective to solve the mystery. 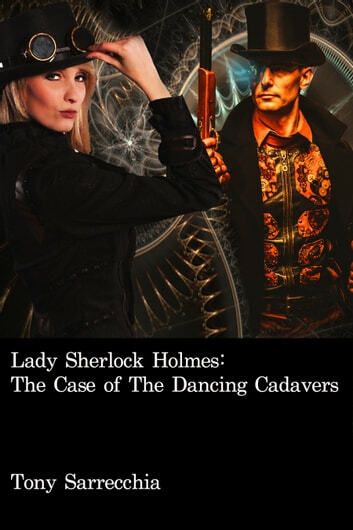 Set in a world where England and France sail among the stars in Outer Atmospheric Ships, while America enters its reconstruction period; Lady Sherlock is a non-traditional hero in a universe filled with automatons, directed-energy-beams, and analytical engines. This edition includes the radio script adaptation performed by the Atlanta Radio Theater Company, and a teaser for the next novella. The Last Notes From the Dispatch-box of John H. Watson M.D. Diğer Kitaplar Tony Sarrecchia Jr.